SLEEVE DESIGN Photographer: Mark Bayley. 'Le Song (A Day, A Night)' also featured as an extra track on the Japanese CD release of the album Hope In A Darkened Heart. 'A Winters Tale' is an old song that dates back to The Ravishing Beauties. The picture of Virginia on the sleeve is the same one that was used for the sleeve of 'Tender'. 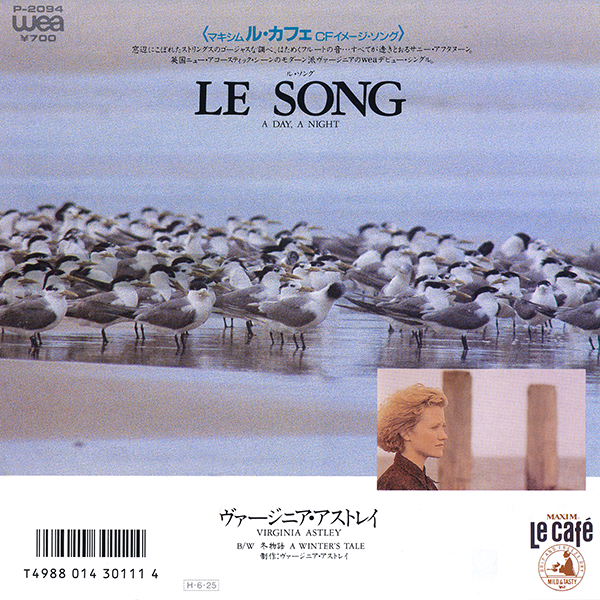 'Le Song' was used for a TV advert in Japan promoting coffee.